Running in Vancouver, British Columbia. 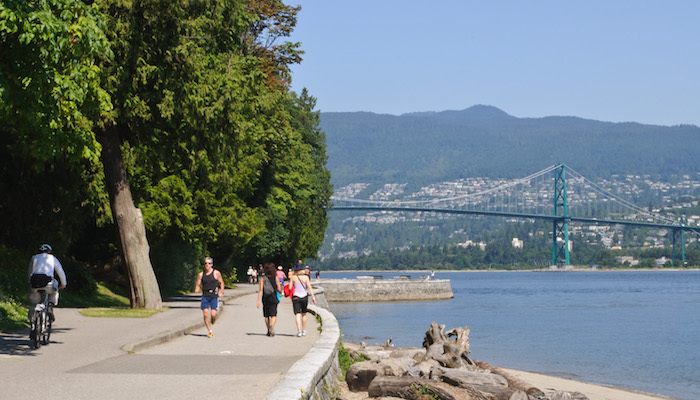 A guide to the best places to run in Vancouver. Vancouver is one of North America’s top running cities. Catch this city on a sunny, warm day and you will be rewarded by some of the most spectacular runs of any urban area in the world, on a par with San Francisco and Sydney. 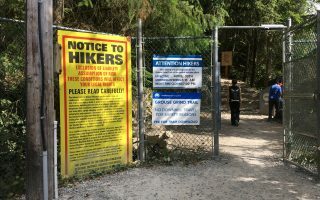 Surrounded by ocean and mountains, Vancouver’s planners have taken full advantage of the city’s spectacular geography by building a wonderful network of parks and trails. 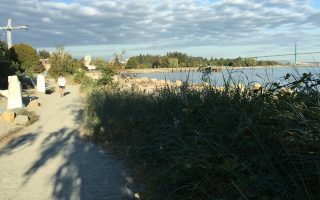 Among the highlights of running in Vancouver, British Columbia are the 17-mile Seawall Trail– the world’s longest uninterrupted waterfront path. 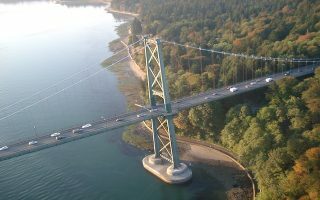 And even though downtown is looking increasingly Hong Kong-esque with its huge skyscrapers, Stanley Park, with miles of oceanfront and forested trails, is at your doorstep. 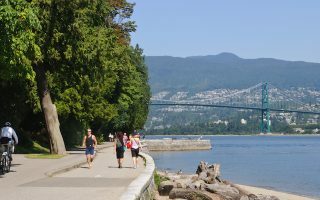 Running the Seawall around the perimeter of Stanley Park is one of the great urban runs in the world. There are also wonderful beaches, parks, and running trails in the western part of the city, on the peninsula across the bridge from downtown. The “Kits” neighborhood has great oceanfront running with terrific views of the city and mountains beyond. 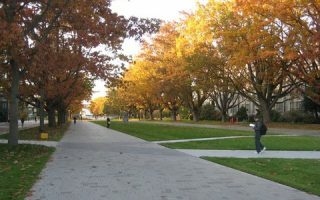 The University of British Columbia (UBC) campus, at the end of the peninsula, is large and composed of numerous trails and parkland nearby. 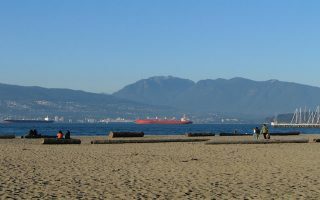 In North Vancouver and heading toward the mountains, there are huge parks and recreational areas, with world-class trail running. The ‘Grouse Grind’ is an iconic run/walk/hike. For those with time, B.C. 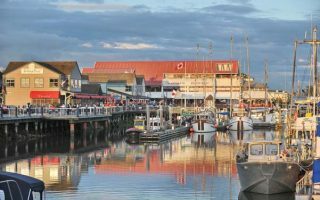 is a recreational mecca, between Vancouver Island, a ferry ride away, and the mountains to the north. Vancouver has great public transportation: Skytrain light rail system, ferries/aquabuses, and buses. The city has also invested significantly in a network of bike trails and overall bicycle infrastructure, which benefits runners and walkers as well. Vancouver’s issue is weather. Catch it on a good day in the summer and the recreational opportunities are unparalleled. But outside of summer there can be long stretches of rainy and overcast days. Winter temps rarely fall below freezing, but the days can be damp and dark. We have put together 15+ runs for you in Vancouver. A few favorites: The western side of the Stanley Park Seawall (English Bay, Sunset Beach), and the Kits area at the end of the day — gorgeous views and fantastic light; similarly, the eastern side of the Stanley Park seawall at sunrise; False Creek, for an easy, flat and seamless waterside run; and on a rainy day, enjoy the trees and hills of the interior section of Stanley Park, with the foliage providing a virtual canopy of protection from the elements. And, for the multi-sport athletes among you, on a nice day, see our Kits Beach multi-sport spectacular. 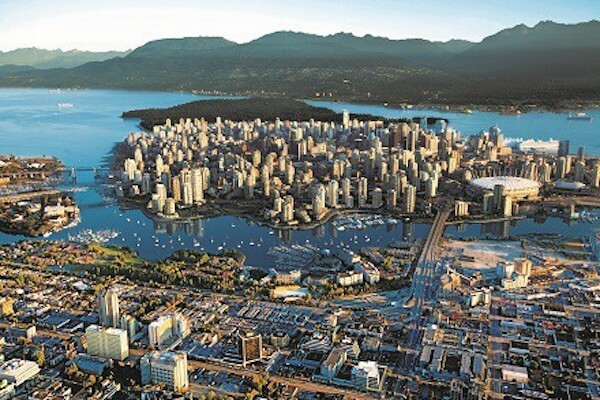 The three best bets from the main business/hotel area of downtown: north side into Stanley Park; south side to English Bay Beach/Sunset Beach part of the seawall; and over the Burrard St. Bridge to Vanier Park/Vancouver Museum/Kitsilano Beach. 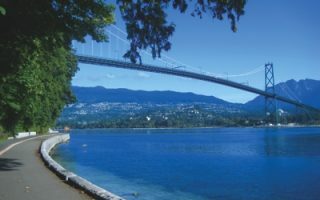 At more than 1,000 acres and surrounded by the waters of Vancouver Harbour and English Bay, Stanley Park is running heaven — and easily reachable from downtown hotels. If you have time for one run in Vancouver, run here. 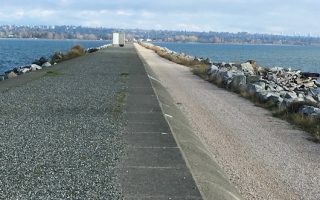 The 17-mile Seawall is the world longest uninterrupted waterfront path. 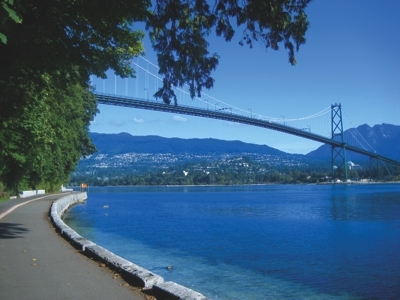 Highlights include the Stanley Park loop, False Creek, and the Seaside area. This is a wonderful loop run past the Plaza of Nations, Science World, the Olympic Village and continues through Granville Island. Great water views, skyline views, and tour of Vancouver’s ever-growing glass condo high rises. This is a neat area for running, sort of a continuation of the trails near Kits Beach. Wonderful views of the water and the mountains to the north. 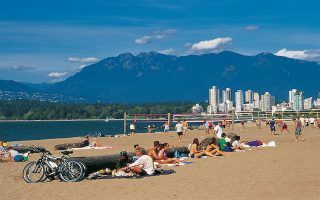 Anchor yourself at Kits beach for a multi-sport day. Enjoy the area running paths, bike paths, huge public, heated, outdoor pool, volleyball courts, tennis courts, or rent a kayak. It's all there. 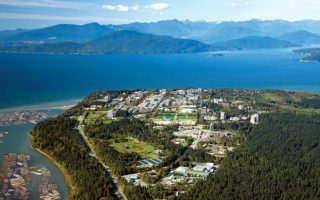 On the western shore of Vancouver, the University of British Columbia (UBC) is one of the most spectacular academic settings in the world. Enjoy some running on the leafy campus and the huge wooded park adjoining. UBC is a large and beautiful campus sitting on the end of the peninsula. One can stitch together a really nice run within the campus, or run in the adjacent gorgeous residential neighborhood, or the trails of Pacific Spirit Regional Park. The West Point Grey neighborhood is suburban running heaven on the peninsula in Vancouver. 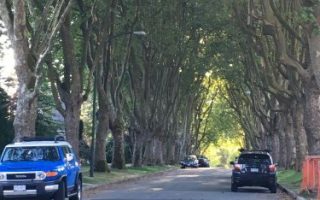 The tree-lined streets feature a mix of architectural styles, from classic wood-frame Vancouver homes to more modern, spectacular residences. Great water, skyline, mountain views in North Vancouver, just over the Lion’s Gate Bridge. Also known as the North Vancouver Seawall. A famous 1.8 mile run/walk/hike consisting of 2,830 stairs and gaining 2,800 feet in elevation. Part of Grouse Mountain, which is a major recreation destination 20 minutes drive from Vancouver. A true challenge. A great five mile out and back along the "jetty" in Iona Regional Park. Ocean views the whole way. Good spot for intervals! This is a good running option near the airport, in Richmond. This trail starts just west of Cambie Rd., and runs parallel to River Rd., passing the Olympic Oval and the UBC boat house. A good option near the airport. A couple of great running options in the cute village of Steveston, which is 20 min. 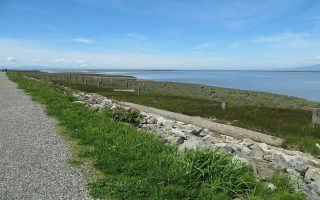 from the Vancouver airport: A 6 mile tour of Steveston; and the West Dyke Trail. Burnaby is Vancouver’s major eastern suburb. 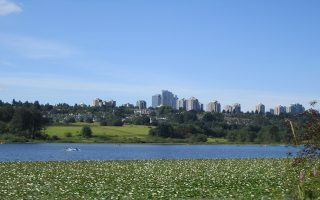 The best running option in the area is the 6.3 mile path around Burnaby Lake. Burnaby Central Park is another great choice for running in East Vancouver. The good news about Vancouver’s weather is that it is mild — especially compared to other Canadian cities. Temps rarely fall much below freezing in winter, and there is little snow. However, it’s cloudy and wet, averaging 20 days with measurable rainfall and 17% average sunshine in winter — similar to Seattle. So pack wet weather gear, and plan for runs away from the water on really stormy days. Vancouver is quite compact. 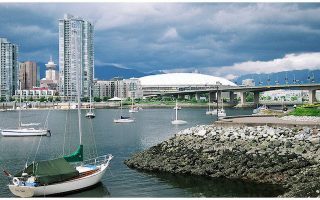 There are lots of hotels right downtown, most within 1–2 miles of Stanley Park, the Seawall, and the trails around False Creek and over the Burrard St. Bridge. There’s also a cluster of hotels near the airport, which is fairly close to the city. There is good access from hotels just east of the airport to trails along the Fraser River, starting at Cambie Rd. North 2nd Rd. and paralleling River Rd. Our maps below are a general Vancouver view and a more detailed downtown area/lower mainland/UBC view. There are lots of running stores in Vancouver, which speaks to the city’s recreational culture and great running options. Running Room is a national chain in Canada with several locations in Vancouver. There are many group run opportunities each week. Group Run Calendar. The Running Room. Right near Stanley Park. Group Runs Wed.: 6:00 p.m. & Sun. : 8:30 a.m.
New Balance. Heart of downtown. Great advice on running technique, apparel. Forerunners. Great local shop. Group Runs Wednesday 6:30 and Saturday 8am, $5 but lots of resources. Distance Runwear. Great store. Also location in North Vancouver. Running Room. Group Runs Wed. 6:00 p.m. & Sun. : 8:30 a.m.
Vanvouver Running Company. Near Kitsilano Beach. Group Runs Thursday 6:15 pm. Also special group runs and training. More info. Distance Runwear. Great local running store. Thanks to Dave for his help! Running Room. Group Runs Wed.: 6:00 p.m. & Sun. : 8:30 a.m.
Vancouver Running and Jogging Club. Tons of group events. Fraser Street Run Club. Vibrant group. Good routes on their website. BMO Vancouver Marathon. May. Marathon and other distances. A major event. Vancouver Sun Run. April. Popular 10k, attracts 40,000 runners. Seawheeze Half Marathon. August. “It’s over 10,000 Agents of Change descending on Vancouver to sweat it out over a summer weekend of yoga, running, and, of course, one hell of an awesome party”. Affiliated with Lululemon. WestVanRun. March. Various length options.